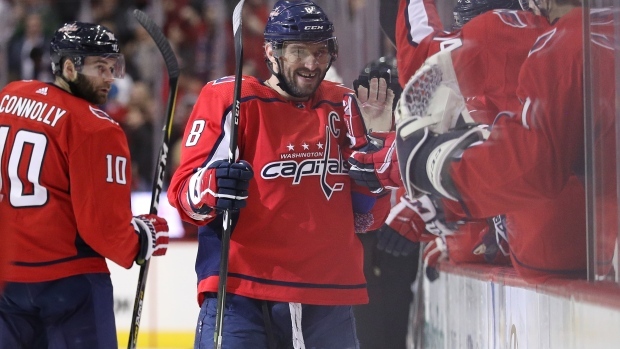 Tuesday night, Alex Ovechkin of the Washington Capitals brought his goal total for the season to 36 in 49 games with a hat trick against the San Jose Sharks. Ovi now has 643 career goals since entering the league back in 2005 and as insane as that is, what's even crazier is that he now officially leads the league in total goals since since April 9th, 1994. It's a very specific date, yes, but to think that he leads the league in total goals since that date after entering the NHL over a decade later is absolutely insane. When it's all said and done, Ovi might go down as the greatest goal-scorer of all-time and Wednesday night, the Leafs will have the tough task of stopping the man who has 37 goals in 46 regular season games against them.